Plot several randomly generated 2D classification datasets. This example illustrates the datasets.make_classification datasets.make_blobs and datasets.make_gaussian_quantiles functions. 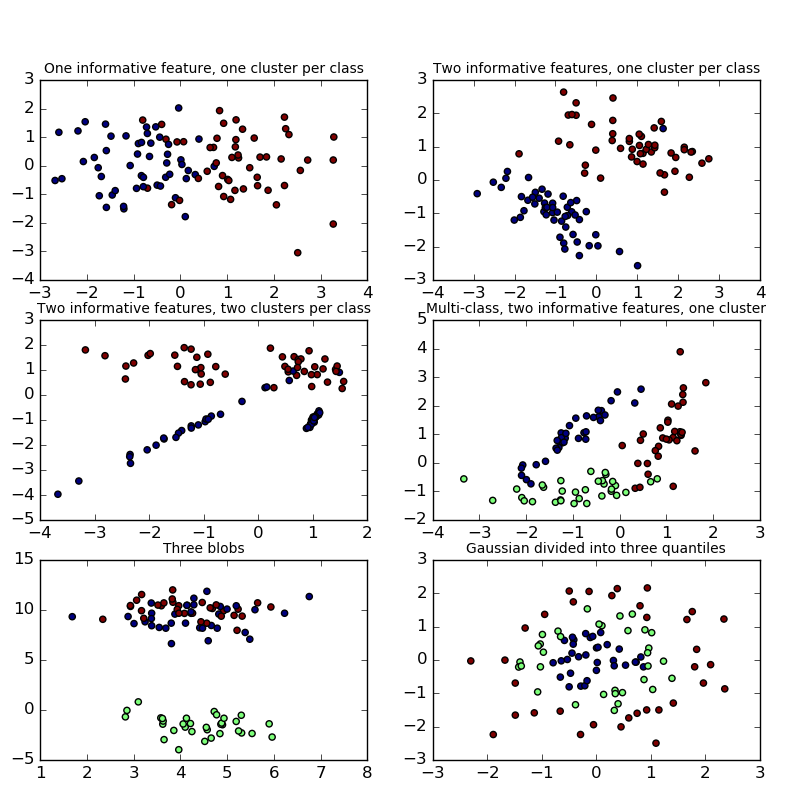 For make_classification, three binary and two multi-class classification datasets are generated, with different numbers of informative features and clusters per class.